If you get good at your marketing, it’s just possible you’ll end up getting some press coverage. Now newspaper and magazine articles are easy to save but suppose you end up on the radio. How are you going to keep a copy of that? You could ask the radio station for a copy of the show but maybe you don’t want to do that for whatever reason. What do you do then? If you get yourself on to any of the BBC radio shows, then most (all? I don’t know I haven’t checked them all) can be listened to again using their listen again service. Just go the BBC radio website and navigate your way to the correct show. There’s just one “problem” with this. Actually there are two. Firstly show are only avaiblable for 7 days. Secondly, there’s no obvious way to record the shows. So not so good if you want to keep so other people can hear it. There is some free software called Radio Downloader that will….well the name’s a pretty good clue! Allows you to download radio programmes made available via the BBC iPlayer. Allows you to download files made available as attachments to RSS feeds. Once you’ve downloaded Radio Downloader and installed the program, you need to find the show you were on. If you are using the A to Z (and there’s no reason not to) one thing to keep in mind is what you call the show and what it will be listed as aren’t always the same! The word “the” isn’t always included. So once you’ve found your progamme/presenter, click on the link. Find something else to do while it’s downloading. You’ll be downloading a couple hours of audio which is probably fine if you have super-duper fast broadband but it can be a bit painful for the rest of us. Once it’s downloaded, you’ll be able to see it listed in the downloads tab and from there you can play it again and again and again…..
Click on Options, then Main Options. This will show you where it’s saving the files. You can change this if you like but just remember anything you’ve already down loaded will be in the old place so it’s probably a good idea to move them so everything is in the same place. 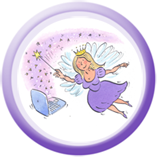 If you’ve found this useful, why not sign up for my Fairy News so you don’t miss out on other helpful articles. I tried several methods and programs and this is by far the easiest, thanks. What software do you use for editing and is there a link to that article? bad news – radio downloader has been now made incompatible with BBC radio shows. tragic..
Hi radio downloader no longer works for new programmes as the bbc contacted him about it , any alternatives you can think of ? This site is no longer working do you know of any others ? very very sadly this no longer works. After ‘requests’ from the BBC the author has had to disable the program such that it no longer functions with the bbc. AFAIK it works or will work with many other streams, just not the bbc. You can however still use the downloader for other (non-BBC) radio on the internet. Thanks for contacting us regarding the NerdOfTheHerd Radio Downloader. Separately, the BBC Trust recently approved proposals from the BBC Executive to enable listeners to download their favourite BBC radio programmes via BBC iPlayer Radio and keep to listen to for up to 30 days. The BBC plans to launch this service in 2014. NB Radio Downloader or at least the BBC functionality of it is now dead. This no longer works following complaints form the BBC. The developer is coming up with a revised version that won’t record BBC programmes. needless to say the BBC have buggered this excellent piece of software! Like everyone else, I’m now looking for a new app/method to record BBC radio programming on a timed basis, preferably free. Yes, I know they have their “terms of service,” which I don’t believe I’m violating by time-shifting and removing the insipid DRM from the files so I can play them on the go…and if I am, I don’t really care, as they are unlikely to sue me for listening to a radio documentary on my Android phone. Maybe instead of being so haughty, they might consider chilling out a bit and not worrying so much about time shifting. Any suggestions for alternatives would be greatly appreciated. As there is no Radio Downloader i use this bit of softwere called http://applian.com/replay-media-catcher/and it works well but costs £29.95 but it is worth it.